Yesterday, I conquered a dish considered to be a culinary feat and I am proud to say that my very first risotto was born. Made from scratch with much love and attention to detail. 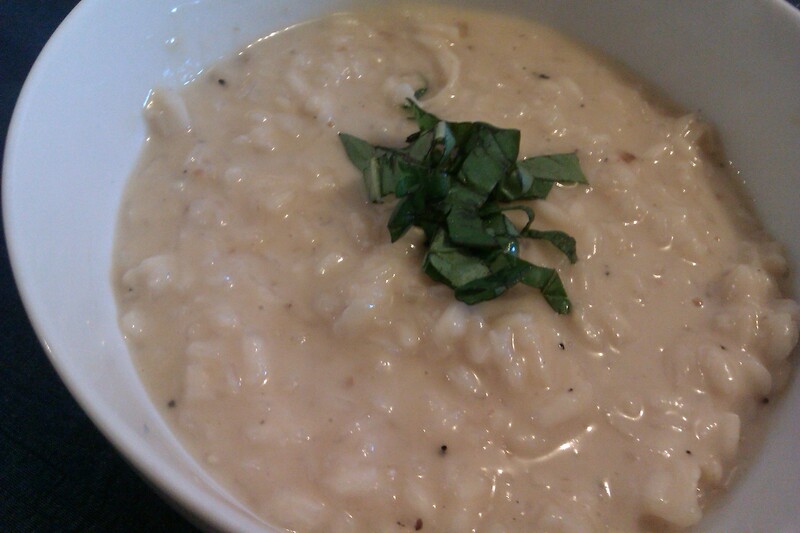 A combination of recipes were used to create my own rendition of risotto a la Mel. Inspiration was at an all time high and I was determined to get this as close to perfect as possible. 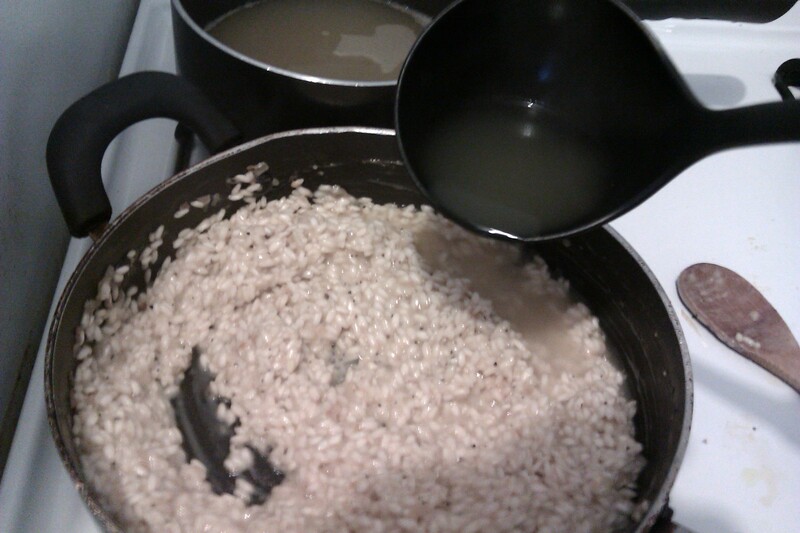 Ladies and gentlemen, I must say that making risotto is not as challenging as it’s rumored to be. With this knowledge in mind, my risotto from this point forward will only become even more delightful. I will never be intimidated by any dish ever again. Risotto done right can be one of the most comforting and deliciously satisfying meals you can eat. 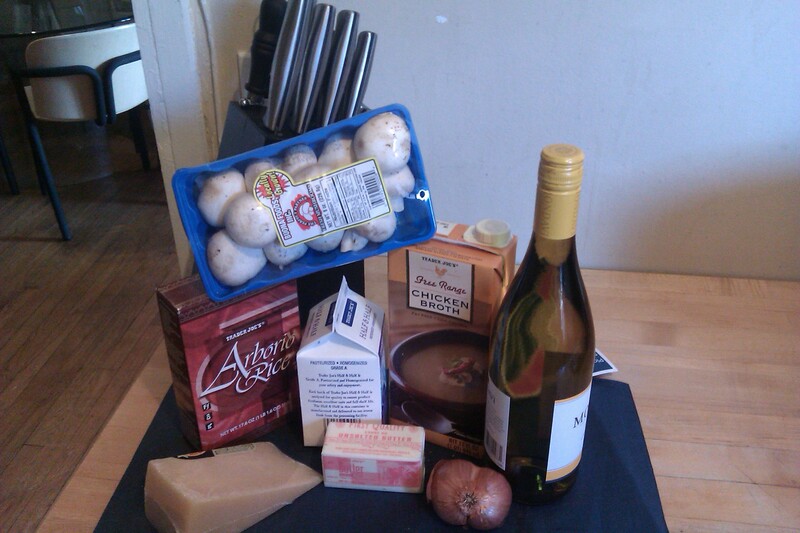 Any dish made with wine, garlic, shallots, cheese and butter (hello!) adds a certain sexiness factor that can’t be explained. Just wow. In a medium sized heavy-bottomed saucepan, saute the garlic and shallots in the olive oil (along with any additional ingredients) until translucent. Add the rice and stir until well coated. Toast the rice for a minute or so (add a pinch of salt). Add wine and cook until evaporated. Use a ladle to add 1 cup of hot stock and simmer gently. Stir every so often. When the stock has been absorbed, add another cup and repeat this process until the stock is finished. It should be about 18 – 20 mins of cooking time. Stir every so often, ensuring that the mixture doesn’t stick to the bottom of the pan. 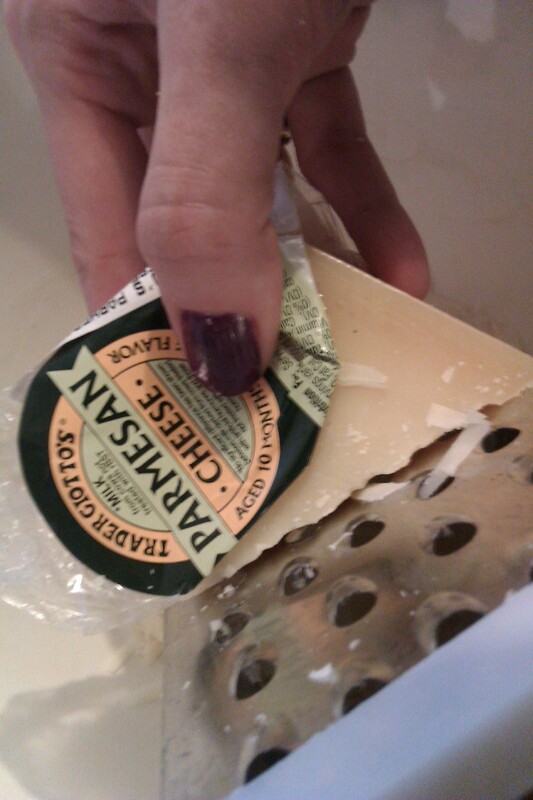 Stir in the milk, butter and cheese. Salt and pepper to taste. Remove from heat, cover and set aside for 2 minutes before serving. Serve with a crisp glass of sauvignon blanc and a mixed green salad on the side. Enjoy! ….. And voila! The rice was perfectly “al dente” oozing with cheesy, creamy and satisfying yumminess. Not too shabby for my first time. 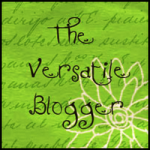 Thank you for reading my blog… I appreciate it. I am working my way through the kitchen and I find that practice makes close to perfect. ;D Thanks for the nail compliment too. Unfortunately, it’s considered a major no- no in the professional kitchen.